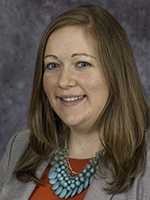 Dr. Jordan Covvey, a School of Pharmacy Assistant Professor, has been appointed to the Editorial Advisory Board (EAB) of a prestigious national publication. Covvey will serve a three-year term on the EAB of the Journal of the American Pharmacists Association (JAPhA), a peer-reviewed journal that links pharmacy practice with science. The appointment will begin at the American Pharmacists Association (APhA) 2018 Annual Meeting in Nashville, TN, which will take place March 16-19, 2018. As an EAB member, Covvey's responsibilities will include serving as a peer reviewer for submitted manuscripts, advising editors about proposed changes or new directions in journal content, and suggesting solutions for specific editorial questions. Covvey currently serves as co-advisor to the Duquesne University School of Pharmacy local chapter of APhA Academy of Student Pharmacists (ASP) alongside Dr. Suzanne Higginbotham and Dr. Marsha McFalls. "JAPhA is one of the most widely known and read journals across the profession of pharmacy. I'm humbled by the opportunity," Covvey said. The journal is the official publication of APhA, and the current editor-in-chief is Andy Stergachis, BPharm, PhD (University of Washington). The 2016 impact factor of the journal, as reported by Journal Citation Reports, is 1.241. Further information about the journal is available at: http://www.japha.org/.